The K1 Clip is for single (K1) mag pouches. The K1 IWB Clip is for single (K1) IWB mag pouches. The K1 Belt Slide is for single (K1) mag pouches. 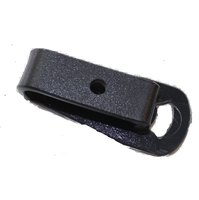 Durable Kydex Paddle Mount with 360 degree cant capability. The K1DSingle Mag Pouch is for double stack magazines. The K1S Single Mag Pouch is for single stack magazines. The K1S Single IWB Mag Pouch is for single stack magazines. The K2D Double Mag Pouch is for double stack magazines. The K2S Double Mag Pouch is for single stack magazines. The K3D Triple Mag Pouch is for double stack magazines. The K3S Triple Mag Pouch is for single stack magazines.